A slow Labor Day box office weekend sees the religious African-American-starring drama “War Room” come in at #1, pulling in $9.4 million. 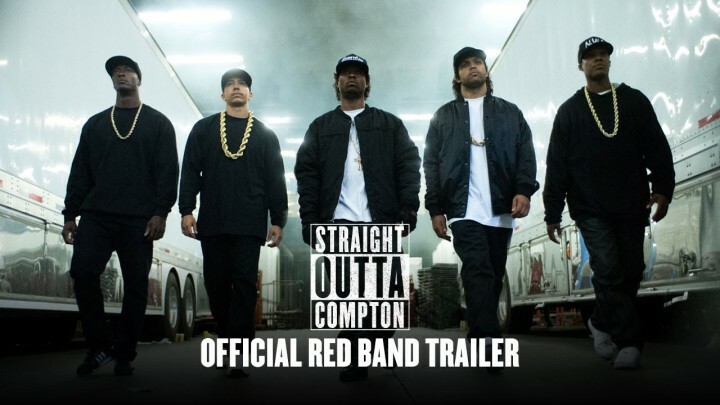 The film knocked August’s box office champ, “Straight Outta Compton,” down to second place. “Compton” earned $8.9 million (-32.6% from last weekend); so far, it’s pulled in $147.8 million domestic and $165.9 million globally. Coming in fourth place is “Mission: Impossible – Rogue Nation,” earning another $7.2 million (-12.3%), and bringing its box office gross to $180.4 million domestic and $509.1 million globally. New action film “The Transporter Refueled” could’ve used full service (or, um, premium instead of regular, to stretch the gas station puns further? ), as it opened in fifth place with $7.1 million. Globally, it’s earned $17.1 million so far. However, between its $22 million budget and the franchise doing better overseas, it’ll probably be OK in the long run. “The Man From UNCLE” is in seventh place (behind “No Escape”), earning another $3.4 million (-22.3%). Its totals so far are at $39.4 million domestic and $85.4 million globally. Opening in eighth place is the Mexican animated film “Un Gallo con Mucho Huevos” (“A Rooster with Many Eggs”), earning $3.4 million in the relatively few theaters it’s played. Popping back up in the top 10 in tenth place is “Inside Out,” earning $3.1 million, to add to its totals of $348.2 million domestic and $734.4 million globally. Dropping out of the top 10 are “Ant-Man,” “Jurassic World,” and “Hitman: Agent 47.” “Ant-Man” to date’s earned $383.7 million globally, while “World” has earned $1.65 billion globally. “Hitman” so far has only made $62.9 million globally, mostly overseas. I still assume “Jurassic World” won’t top the #2 top-grossing non-inflation-adjusted film of all time, “Titanic,” despite being only $12 million behind. Next week sees opening the drama “90 Minutes In Heaven,” thriller “Perfect Guy,” and horror film “The Visit.” It sounds like a lot of post-Labor Day, early fall filler material, at least until the “Maze Runner” sequel opens the following weekend.